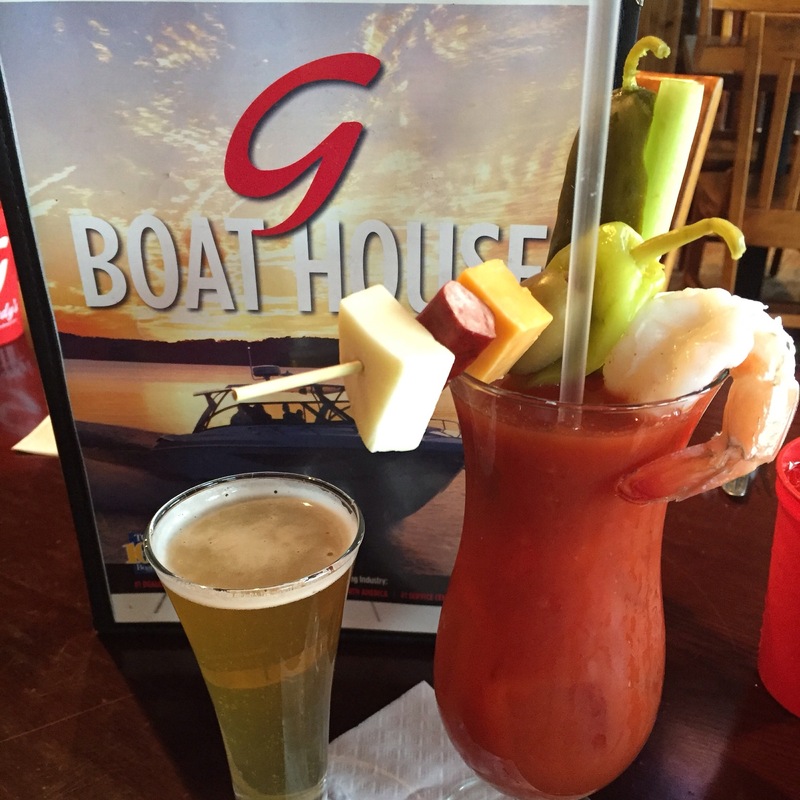 We spent our Black Friday in the Lake Geneva area and had the opportunity to sample a couple of mighty fine bloody marys, the first of which was at Gordy’s Boathouse on the west side of the lake (technically in Fontana). This was our first visit to Gordy’s, but the establishment has been around in one form or another since 1955. The menu offers a wide variety of lunch and dinner options and the dining room offers a fantastic view of the lake. The Bloody Mary was icing on the cake, very flavorful and thick, with a healthy offering of fixin’s, as well as a chaser. This restaurant is across the lake from the Main Street area of Lake Geneva, but definitely worth a visit!